Hong Kong’s first ever BarCamp, held at Yahoo! 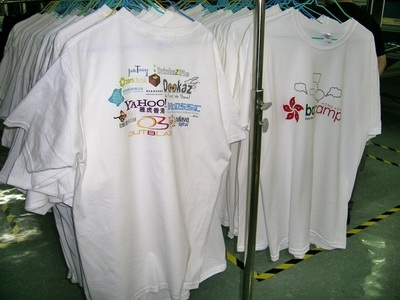 Hong Kong offices on December 16, 2007, attracted about 100 participants and was hailed as a success. BarCamp is an informal, very loosely structured ‘user-generated’ conference event that began in Silicon Valley, spread around the world, and was recently imported to Hong Kong. The rules are simple if unconventional. No previously organized panels or keynotes, and no invited guests – you’d think this would be a recipe for chaos, but quite the contrary (see links to feedback below). The first Hong Kong BarCamp was a team effort involving a dozen companies (including Outblaze), which you can view at the BarCamp Hong Kong wiki page. 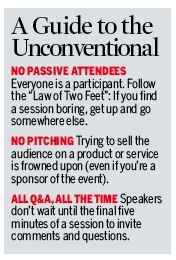 This unconference was certainly well received in the Hong Kongblogosphere. You can read up on the event at the Web Wednesday entry, and see thoughts and reactions from organizers and attendees at Hong Kong Phooey, 852Signal, Digital Anthology (also this primer), RConversation, d.otted rhythm, and others. Victor of Hong Kong Phooey also runs a CNet blog in which he goes over the participation rules in more detail. I particularly recommend the RConversation entry for its write-up of the stimulating discussion on user rights and government interference – many interesting and thorny issues there. Presence among Chinese language blogs was also good, have a look at SideKick’s post and Drinkazine and Ben Lau. There are 1 Comments to "The first ever BarCamp Hong Kong"